The Manager, Strategy and Planning plays an important role helping to inform and guide the strategic direction of the Women’s. Reporting to the Executive Director, Strategy, Planning and Performance, this role is required to analyse and report on important policy, advocacy, service demand and emerging issues, and lead the development and implementation of the Women’s strategic plan. It has a strong focus on improving healthcare for all women and newborns, and progressing the Women’s commitment to health equity. This is a senior role with responsibility for developing outstanding relationships with critical stakeholders within the hospital as well as across government and the health, primary care and community sectors. The Strategy, Planning and Performance team is responsible for ensuring the Women’s has a sustainable future as a leading women’s health service provider and a strong advocate for women’s health issues, through successful development, implementation and evaluation of The Women’s strategic plan. Under direction of the Executive Director, this role is responsible for leading the development of The Women’s strategic plan to meet The Women’s Declaration, assisting with its implementation and reporting on its delivery. For more information about the position, please see the Position Description attached or to apply for this position please select ‘Apply Now’ below. **All employment with the Women’s is subject to and conditional upon a satisfactory clearance of a Victorian Employee Working with Children Check and Police Check. The Women’s is Australia’s leading independent specialist hospital for women dedicated to improving the health and wellbeing of women of all ages and cultures, and new born babies. The Women’s is recognised as a leader in its field, with expertise in maternity services and the care of newborn babies, gynaecology, assisted reproduction, women’s health and cancer services. 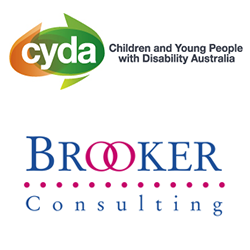 Please quote in application: Manager – Strategy and Planning via Pro Bono Australia.